The first time I saw the new pope I thought to my self: Darn, doesn’t he look just like Darth Vader in the scene where Luke helps him take off his helmet? And then the next day, what arrives in my inbox? 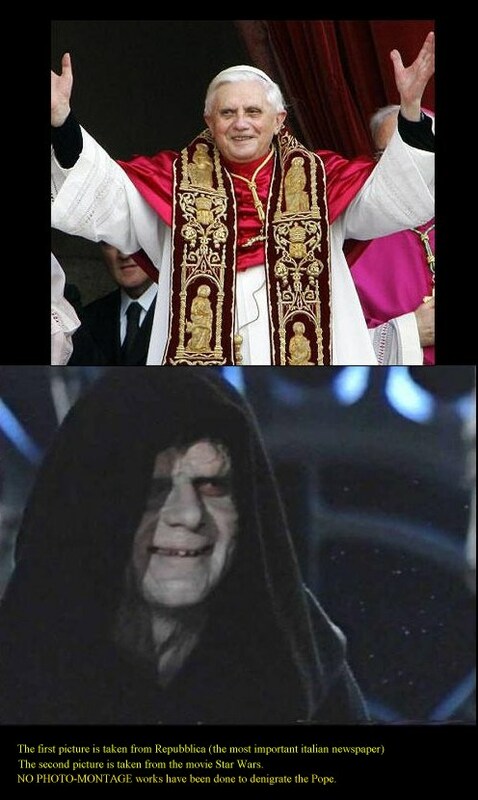 Not only does he look like Darth Vader, he even looks like the evil emperor! This can’t be a coinsidence?